New Orleans comes to New London for a sixth year in a row! For the Fifth Anniversary of this yearly winter tradition in February 2018, the Lord blessed us with manageable weather, a record turnout of 190 in worship, and 150 served for lunch! The enthusiasm of all who gathered found themselves overwhelmed by the joy of the Spirit and companionship in our fellowship. The music from the Firehouse Six Dixieland Band and the packed Choir, was phenomenal! Many thanks go out to Nancy and Ginger for organizing a wonderful lunch and to our cooks who brought scrumptious Cajun and other main courses to share! ​"A Closer Walk With Thee"
The Choir Sings to the Glory of God! "Down to the River to Pray"
2017 Fat Sunday at KCPC! ​New Orleans came to New London Once Again! "A Closer Walk to Thee"
Fat Sunday 2017 was a huge success! Thanks goes out to all who contributed to the fellowship, food, fun and our worship experience together! Mark your calendars! Fat Sunday 2018 will be on Sunday February 11th beginning with the 10:00 worship service and followed by the 11:00 Cajun style lunch! ​"Sinner! Don't Waste Your Life!" New Orleans certainly did come to New London! A big thanks to Wally, PW and all who helped make the day a big success! Looking forward to Fat Sunday 2017 on 02/26/17! 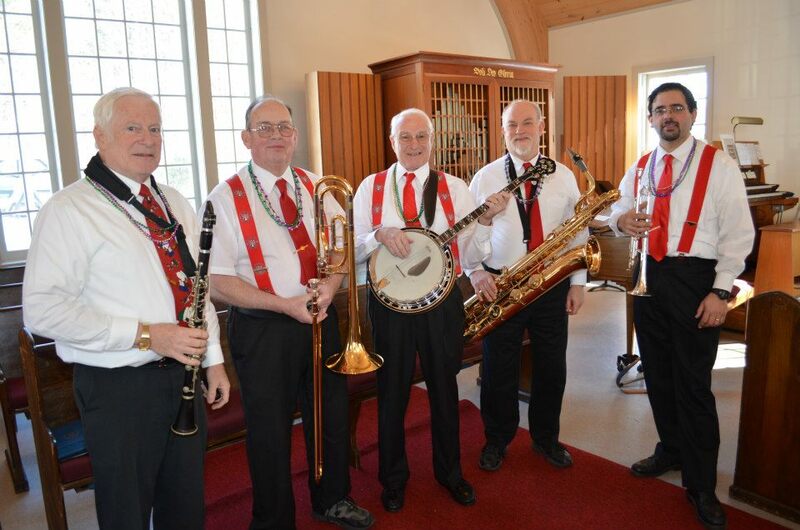 The Fire House Five Dixie Land Band helped to Lead us in worship again this year! Videos from the Fat Sunday 2014! the Po' Boys, Great Cooks, and a fantastic spirit of faith and fellowship by all! Fat Sunday 2013: A Day to Remember!